Aspen is located in the Rocky Mountains at an elevation of 7,815 feet and encompasses 1.99 square miles. It is the 50th largest city in Colorado and is approximately 200 miles southwest of Denver. Aspen is located at the southern end of the lush Roaring Fork Valley, along with the neighboring cities of Glenwood Springs, Carbondale, El Jebel, and Basalt. 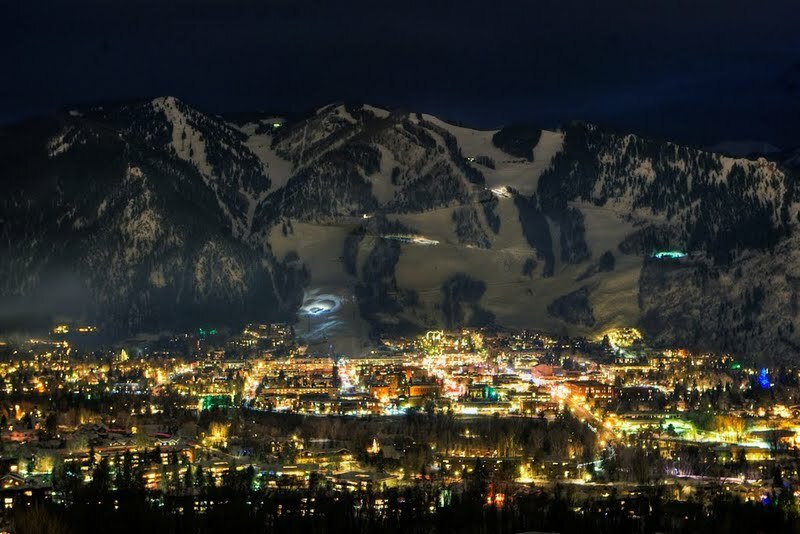 Although tourism is the number one industry, Aspen is a thriving community where 6,400 year-round residents take great pride in maintaining the small-town charm of the past and urbane culture of the present. Aspen has always been home to colorful characters, from the flush days of silver mining to the lean quiet years, and fromthe romance of ranching to the rise of skiing and the arts, Aspen has been defined by its people. It is a community with rich roots, a place where Western heritage and modern mores join together to form a year-round destination resort. Aspen is, and always has been, about style, passion, and balance. In the late 1800s, Aspen was alive with all the fortune and fancy of a silver mining town. Thousands of fortune seekers rushed to the newly inhabited mountain town for their chance to strike it rich. Many succeeded. By the early 1890s, the town had four schools, three banks, 10 churches, a hospital, six newspapers, an opera house...and several brothels. Times were good -- too good, in fact, to be true. Just years later, Aspen was devastated by the demonetization of silver. At one point, in the 1920s the town's population dwindled to a meager 750. Aspen believe it or not, was a virtual ghost town. And while most Western mining towns were temporary in nature, Aspen was--and remains--unique in its character. As the mines closed and even diehard locals were forced to close up shop, the town grew stronger. Its residents turned to ranching and farming to see them through the tough times, never abandoning the land they called home. These were the quiet years--a period of tranquility between the booms of silver and skiing. In the late 1930s, skiing and the arts began to take hold of the Aspen scene, paving the way for decades to come. It all began when Andre Roch, the famous Swiss avalanche expert, was hired to survey the area surrounding Aspen for development as a world-class ski resort. Meanwhile, a group of ingenious locals built the original "boat tow" ski lift on Aspen Mountain and cleared one ski run, naming it after Roach himself. The dream continued when Aspen went on to hold the 1941 U.S. National ski races. And just six years later, when Lift One carried its first passengers up Ajax, it was clear that Aspen would be a place where people from around the world would flock to schuss through powder and sip hot toddies. Of course the rebirth of Aspen didn't stop there. Two years later, when Walter Paepcke planned the Goethe Bicentennial Convocation, the town was filled with intellect, music, literature, art, and theater. In the 1960s, skiing was expanded to include Buttermilk, Highlands and Snowmass mountains, and the town's population was expanded to include high-rollers and hippies. In the 1970s and 1980s, growth was the issue - both how to control it (note gonzo journalist Hunter S. Thompson's campaign for sheriff on a platform of no-growth and legalized drugs) and how to keep it going. And in the 1990s, the town really took shape with retailers such as Polo, Gucci, and Prada, and nightclubs like the Caribou, Club Chelsea, and Eric's, it was clear that Aspen was more than just a ski town -- it was a year-round destination resort. Today, Aspen is a bizarre tribute to the colorful cast of characters that create the town's unique tapestry. Whether it's the arts, culture, and winding trails for hiking and biking of the warm months or the unparalleled skiing and outdoor activities of winter, people flock to Aspen throughout the year for a vacation unlike any other. Aspen's climate is characteristic of high altitudes with low humidity and intense sunshine. Sunglasses and sunscreen are recommended for all seasons. SUMMER: Aspen's summer weather is warm and dry with temperatures occasionally as high as 90 degrees during the day. Brief afternoon showers are frequent, so bring a raincoat. Evening temperatures drop to 50 degrees and below; a lightweight coat or warm sweater is a good idea. FALL: Aspen's fall weather is generally warm and dry, although cold spells do occur, and it can snow in the surrounding mountains. Daytime temperatures can reach the high 70's, dropping to the 30's at night. A warm sweater or lightweight coat is still a good idea for evenings. The last week of September is noted for their fall color beauty. WINTER: Aspen is renowned for its warm winter sun. Daytime temperatures range from 20 to 40 degrees in town and from 10 to 30 degrees on the mountain. Once the sun goes down, the temperature drops dramatically. Aspen dress is informal and either ski wear or apres ski wear is appropriate. SPRING: Aspen's spring weather ranges from warm to cool both day and night. Showers and snowfalls are possible, so don't forget to pack a jacket. 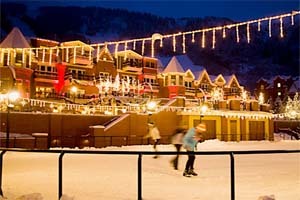 The City of Aspen provides and maintains 27 public parks, the Wheeler Opera House, the Aspen Recreation Center (ARC), an 18 hole - municipal golf course, eight tennis courts, four ball fields, three ice skating rinks, a summer program for children, and 266 acres of open space. For more information contact the City of Aspen Recreation Department at (970) 544-4100, or visit the City of Aspen's Recreation Department website.